Inventory of single-family homes fell 60,000 units in October. They remain oversupplied by 908,000 units when compared to the long-run average. 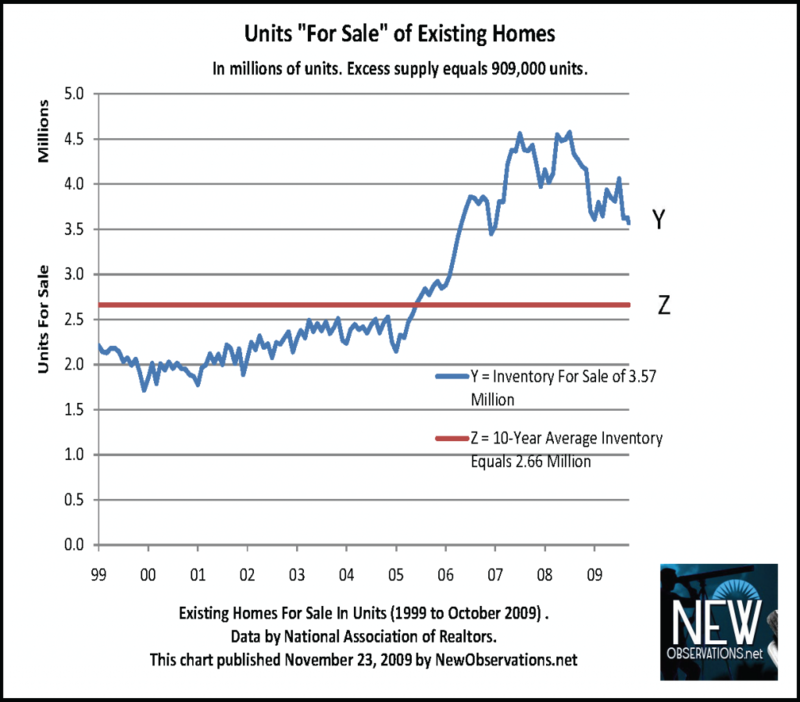 The total of existing units for sale equals 3.57 million, according to the National Association of Realtors (NAR) in its release today of October data. The long-run average is 2.66 million. Please click here to see the rest of the story. Michael David White blogs at NewObservations.net. Are they counting the 7 million in foreclosures not out yet??? Are they counting homes without mortgages? Are they even realizing that baby boomers who make up 36% of the buyers are saying they won’t buy again……….or that 26% of the buyers, Gen Xers are struggling…..don’t think so……….or last but not least, there will be 50 million unemployed by June 2010?